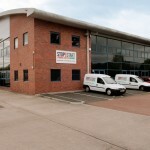 Stop Start has over 30,000 sq ft of warehouse floor space that can be customised to meet your storage needs. We can store your goods in a professional and thorough manner that will ensure your peace of mind. Stop Start understands that in many industries companies experience seasonal demand for certain products. Stop Start can provide seasonal storage space to suit your seasonal storage needs. Stop Start will provide the solution that we know best fits your particular situation and industry. We know to provide the best value retail seasonal storage we possibly can. Stop Start’s commitment is to provide a bespoke seasonal storage solution for each and everyone of our clients. Stop Start can provide long term industrial storage to fit any need. Our warehouse is controlled by a warehouse manager and dedicated admin team. This team is charged with the task of ensuring all of our clients’ logistical arrangements are in order. Stop Start is always delighted to hear from you so why not give us a call. Because of the due care and attention Stop Start gives to all our clients, we can provide cost effective long term industrial/commercial storage that provides you with long term peace of mind. Our warehouse team carries out regular inspections on all the goods stored in our warehouse to ensure that all of your goods are protected and are of merchantable quality at all times. Our overflow storage service exists to provide businesses with storage space for excess goods in any shape, quantity and size. We understand that seasonal and periodical ventures, as well as companies seeking to expand, can find themselves pressed when their demand for storage space temporarily exceeds existing capacity. So, if your business is faced by such circumstances, it’s comforting to know that we can provide a rapid response service, whereby we will seek to provide you with a flexible storage solution within the shortest time frame possible. Stop Start offers the highest quality logistics to support all of your business’ requirements. Our logistics pledge is plain and simple; we offer you the same support we give ourselves. When Stop Start take load of a clients goods they are thoroughly checked by the Stop Start warehouse staff and by our extremely skilled drivers to prevent logistical discrepancies. 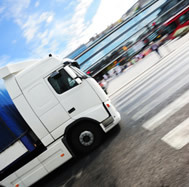 All Stop Start transport drivers are trained to be familiar with our clients’ goods, so they have an understanding of a whole range of specialist logistical requirements. Upon arrival at their intended destination Stop Start ensures that all goods are meticulously checked for completeness and damage by the end customer and the Stop Start transport drivers before any paperwork is signed any. Stop Start removes the likelihood of any damage being caused in transit by implementing these stringent tests. When delivering goods, Stop Start will even collect any returning goods on behalf of the customer free of charge. Stop Start provides insurance to the full value of the goods. We also have a movement of products insurance which covers any accidental damage to customers’ goods while being loaded in our warehouse. Stop Start represents our clients as if we are dealing with the end customer on behalf of ourselves. At Stop Start we endeavour to reflect and act as an extension of the services that you provide. Stop Start aims to integrate with our client’s customer supply chain; we do this in order to provide you with the most cost effective offering and to reduce your carbon foot print. Stop Start understands that every business’ needs are different and we will devise a solution that is 100% tailored to your needs. At Stop Start we are here to help you with all of your logistic requirements. Stop Start will recommend the ideal distribution routes based on the inbound and outbound distribution flows. Our flexible and proactive solutions enable you to maximize your customer service and reduce end customer lead times. All of our customers benefit from the experience Stop Start has gathered in the logistic service field. The flexibility of shared resources is a key element of any operation. To supplement our other logistic services, Stop Start provides complimentary services that take any unnecessary hassle out of the logistic services we provide our customers. Stop Start is here to provide vital support and resources for all of your logistic needs. Stop Start want to go past offering our customers the usual logistic support, we have taken it upon ourselves to provide a number of services that go the extra mile to ensure our clients have full peace of mind. Stop Start can also provide support for your supply chain process from your headquarters or warehouse to the end user. Stop Start can meet all of your logistic support needs as well being able to support your warehousing and distribution needs. Stop Start can provide your business with the highest quality distribution services. Our highly trained drivers will see to it that your goods are delivered efficiently, first time and every time. Stop Start can provide distribution solutions services through to suit almost every distribution requirement. Depending on what product you need distributed, we will endeavor to meet your distribution requirements first time, every time. Management of environmental challenges is key to our distribution operations. We are serious about increasing our green miles by maximizing vehicle fill and fuel efficiency. Stop Start sees to it that we provide what are amongst the most cost effective distribution services in the industry, our distribution services will be provided by our 25+ onsite vehicles. Stop Start ensures that our customers deal with the same member of staff for every distribution solution they require. Stop Start will ensure that you have peace of mind while your goods are in transit. Our distribution customers include; Bosch and Akzo Nobel. The knowledge we gain from working with such prestigious brands is shared and best practice applied across all our other operations. Stop Start are well aware that every clients’ distribution needs are different, that’s why we are committed to delivering a tailored solution to your distribution needs. Stop Start will integrate itself with your current operations so that we can get a deeper understanding of your distribution requirements. This ensures that our service is an exact match for your needs. Stop Start’s expertise ensures all your goods are delivered with the utmost care and attention – all our drivers will always ensure safe loading and unloading takes place even in the most challenging of environments. Dealing with distributing goods to remote areas is not an issue for Stop Start. We can get your goods where they need to get to when they need to get there. Stop Start can offer you an advanced service to meet those extra special and unexpected distribution requirements that many businesses face from time to time. Stop Start can provide flexible delivery times, which combined with our unparalleled levels of customer service offer gives us a distribution, warehousing and logistics service that is second to none. Whatever your distribution requirements, Stop Start has a solution that will ensure your business is one step ahead of the game. Whether it’s overnight or same day, Stop Start will try our best to meet your distribution needs. Our overnight distribution service ensures our customers get next day and economy distribution on time and at very competitive rates.